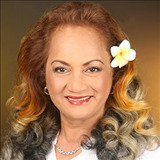 Island Home Life Helps You Learn More About Hawaii Loa Ridges, Hawaii Real Estate. Hawaii’s wealthiest community is much more than beautiful views, luxury homes. 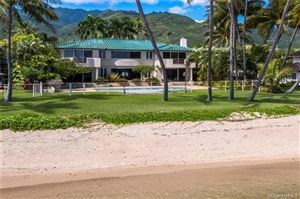 Hawaii Loa Ridges is an exclusive, gated hillside community of large homes offering buyers a community clubhouse and tennis courts. 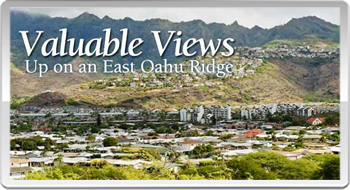 Many have spectacular views of the ocean, Diamond Head crater to the west or Koko Head crater in the east because the developer established protected view corridors for the lots. All the custom homes must first obtain the approval of the developer's review board and meet their minimum requirements. Within this gated community is another newer gated community, The Pointe. These are premier view lots on the west slope and residents have part ownership of the elegant Pointe Club clubhouse.